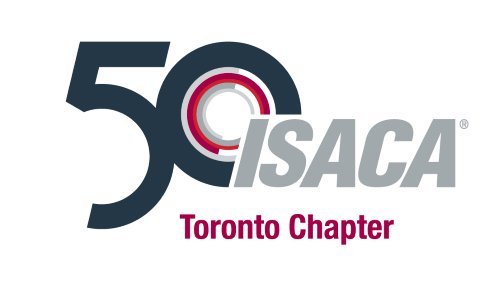 Section 1 The name of this non-union, non-profit organization shall be the ISACA Toronto Chapter and hereinafter referred to as the “Chapter”, a chapter affiliated with the Information Systems Audit and Control Association and herein after referred to as the “Association”. The Chapter, apart from its innate affiliation with the international Association, is an independent entity from any other association, enterprise, or entity. Membership in the Association is a requirement for membership in the Chapter. Therefore, upon joining the Chapter, a person must also join the Association, with accompanying rights and responsibilities. Any person interested in the purposes and objectives of the Chapter as stated in Article II shall be eligible for membership in the Chapter, and the Association, subject to rules established by the Association Board. Members shall be entitled to vote and to hold office. Any member, who presents proof of retirement status, subject to rules established by the Association Board. Retired members shall be entitled to vote and hold office at the Chapter level. Full-time student currently enrolled in a program of an accredited college or university, subject to rules established by the Association Board. Student members shall be entitled to vote and shall not be entitled to hold office at the Chapter level. 1. Meet the requirements of membership as outlined in Article III, Section 1-3. 2. Complete an Association membership application form. 3. Pay required dues to the Chapter and the Association. 4. Follow the Code of Professional Ethics of the Association. Membership in the Association shall be conferred upon an individual when the Association has received the required Association dues for that individual. 1. Association and Chapter dues shall be payable on or before 1 January of each year. Chapter dues will be determined by the Chapter Board. A member whose dues are in arrears for more than 60 days shall no longer be deemed a member. 2. A member shall forfeit membership if dues have not been paid to the Association and to the Chapter as required. 3. Resignation – any member who resigns shall not be entitled to a refund of his/her annual membership dues. Educational sessions of the Chapter membership shall be held at least quarterly unless otherwise determined by the Chapter Board. The annual general meeting shall be held in June and shall be for the purpose of electing officers, receiving reports of officers and committees, and for any other business that may arise. Special Chapter meetings (excluding Board meetings) may be called by the President, or any 3 Board members or upon written request by 25 of the members. The purpose of the meeting shall be stated in the call. If required, paper mail or electronic means may be used for the purposes of voting on resolutions approved by the Chapter Board. The quorum for any regular, annual general or special meeting shall be 20 members. In the absence of a quorum, the meeting will be adjourned and reconvened the following week. The new date and time will be communicated to members. The affirmative vote of the majority of the members at any chapter meeting shall constitute an act of the membership. Members shall be notified 30 days in advance of the annual general meeting and at least 10 days in advance of regular meetings. Notification may be by email, postal mail or by telephone. The Officers of the Chapter shall be up to 15 in number, constituting the: President, Vice President, Secretary, Treasurer, the most immediate past president (subject to their written acceptance), and up to ten directors. The President of this Chapter may appoint, with the approval of the Chapter Board of Directors, such officers and directors other than those provided in Article V, Section 1 as he/she deems appropriate. a) The Chapter Officers, except the President, Vice President and past president, shall be elected for a term of three years, or until their successors are elected and assume office, or until they resign or are removed from office. The term of office shall begin at the close of the annual meeting at which they are elected. b) The President and Vice President shall be elected for a term of two years and are not eligible to serve more than two consecutive terms in each position. c) Officers shall hold no more than one Chapter office at a time. All officers except the President shall be eligible for re-election and may serve for no more than two consecutive terms in the same office. d) The Chapter Officers shall perform the duties prescribed by these bylaws, and the parliamentary authority adopted by the Chapter. Perform other duties as pertain to the office of President, or which may be delegated by the Chapter Board. Perform other duties as pertain to this office. B. If a vacancy should occur in any other office, except that of the Past Presidents, the vacancy shall be filled by the Chapter Board. C. If a vacancy occurs in the office of the Past Presidents, the vacancy shall remain vacant until filled by routine succession. D. If a Chapter officer’s membership in the Association shall for any reason terminate, that individual’s position as Chapter officer shall automatically become vacant. A. A Nominating Committee of 3 members shall be elected by the Chapter Board at their February/March meeting. The committee will include one (1) member of the Board (not the president) and two (2) members of the Chapter and shall report to the Board of Directors. B. The Nominating Committee shall solicit candidates for office from the chapter membership and shall nominate candidates for offices to be filled at the annual general meeting. The nominating committee will also be responsible for managing the process for electing Chapter members to fill Board vacancies. The elections will be conducted in accordance with the process described in the Chapter procedure manual. C. The Nominating Committee shall report to the membership at the regular meeting in April/May. D. Nominations from the floor shall be permitted prior to the election. Each candidate shall have consented to serve and shall have completed a Willingness to Serve agreement and Conflict of Interest form. A. Officers shall be elected by ballot. Ballots may be distributed and returned by postal mail or any other electronic means approved by the Board, such as third party voting service providers. The Chapter will ensure that the valid votes are counted and counted only once. B. In the event there is only one candidate for any office, the candidate is elected to the position by acclamation. The Chapter Board of Directors shall be the governing body of this Chapter and its actions shall be final, unless otherwise specifically provided by these Bylaws. a) Supervise the affairs and conduct the business of the Chapter between annual general meetings. a) The Chapter Board of Directors shall meet at a minimum of four times per year at such times and places as it may elect. A majority of the chapter board shall constitute a quorum for any Chapter Board meeting. At such meetings a quorum must be present to conduct business coming before the Board. All business coming before the Chapter Board of Directors for approval shall be approved by a majority vote of those present unless otherwise required by the Bylaws of this Chapter and Association. The meetings shall be conducted under the rules contained in the current edition of Robert’s Rules of Order Newly Revised, except in those cases where the rules are in conflict with these Bylaws, the Bylaws shall govern. b) At all meetings of the Chapter Board of Directors, the President, if present, shall act as Chairman. In his/her absence, the Chairman shall be the Vice-President, if present. In the absence of both the President and the Vice-President the members of the Board who are present shall by majority vote choose one among them to act as Chairman for that meeting. c) Notice of meetings of the Chapter Board of Directors shall be given to each Director by the Chapter Secretary or an alternate at least ten days in advance of the meeting or as the Board may otherwise direct. The notice can be communicated by email, telephone or other electronic means agreed to by two-thirds of the Directors then in office. d) Members of the Board may participate in a meeting through use of telephone or other communication/electronic means, as long as all members participating in the meeting are able to hear one another. e) The Chapter Board of Directors may exercise any of its powers without a meeting provided two-thirds of the Directors then in office consent. Consent may be provided via email or any other means of communication approved by the Board. A. The fiscal year of the chapter shall run from July 1 to June 30 unless otherwise established by the Chapter Board. B. The Chapter Board shall ensure that annual financial statements are prepared, approved by the Chapter board, presented to members at the annual general meeting, and submitted as part of the Chapter Annual Report to the Association. The Chapter Board shall secure whatever insurance coverage is deemed necessary to meet the needs of the Chapter. There shall be the following standing committees: Program, Executive, Nominating and Governance. A. The program committee shall develop and implement the Chapter training and development events for the year. B. The executive committee shall be composed of the president, vice president, treasurer, secretary and three past presidents. The committee shall have the delegated power to act for the Chapter Board of Directors between meetings of the Board. Such delegated power is subject to ratification of the actions of the executive committee at the next Board meeting and also subject to any limitations the Chapter Board of Directors may from time to time impose on the committee. The committee may not at any time take or adopt any action contrary to a previously adopted resolution of the Board of Directors without its concurrence and approval. The committee shall carry out all actions directed and all policy adopted by the Chapter Board of Directors. C. The governance committee will consist of three members and shall report to the Board of Directors. The members of this committee include a minimum of two elected officers, excluding the Treasurer. The responsibilities of this committee will include completing an annual review of the financial statements and reporting the results to the chapter Board of Directors. The committee will also review any local chapter bylaws changes and ensure their compliance with the Association’s bylaws and applicable country requirements. The committee shall ensure that all bylaw changes are passed in accordance with Article XII. Chapter bylaw changes shall then be forwarded to the Association with the proposed changes indicated. Other committees may be created as necessary by the Chapter Board. The Chapter shall indemnify any and all of its directors or officers or former directors or officers or any person who may have served at its request or by its election as a director or officer of another corporation, against expenses actually and necessarily incurred by them in connection with the defense or settlement of any action, suit or proceeding in which they, or any of them, are made parties, or a party, by reason of being or having been directors or a director or officer of the corporation or of such other corporation, except in relation to matters as to which any such director or officer or former director or officer or person shall be adjudged in such action, suit or proceeding to be liable for willful misconduct in performance of duty and to such matters as shall be settled by agreement predicated on existence of such liability. The indemnification provided hereby shall not be deemed exclusive of any other rights to which anyone seeking indemnification may be entitled under any bylaw, agreement, vote of members, or disinterested directors or otherwise, both as to action in his or her official capacity and as to action in another capacity while holding such office. If dissolution of the Chapter becomes inevitable, these bylaws must be rescinded by a two-thirds (2/3) vote of the chapter membership after ten (10) days notice has been mailed to each member. In the event of dissolution, the Chapter shall notify the Chief Executive Officer of the Association, in writing, indicating the reason(s) for dissolution and shall return the Chapter charter and any other Chapter or Association documents to International Headquarters. All net assets shall be distributed to other selected ISACA chapters, or to a welfare, education, or civic project designated by the Chapter membership, pursuant to the regulations of the Canada Revenue Agency with the approval of the Association’s International President and Chief Executive Officer. The rules contained in the current edition of Roberts Rules of Order Newly Revised shall govern the chapter in all cases to which they are applicable and in which they are not inconsistent with these bylaws and any special rules the chapter may adopt. The Chapter Board shall approve all suggested bylaw changes and forward them to the Membership Division of the Association, with changes indicated. The Association must give approval to all bylaw changes prior to them being submitted for a vote by chapter membership. Chapter bylaw amendments will be approved, at any chapter meeting by a two-thirds (2/3) vote of the members present (see Article IV), provided that notice of the amendment has been submitted in writing (by mail or any electronic means approved by the Board) to the entire Chapter membership and the amendments are available to the members for perusal in written or digital format) at least five (5) days prior to the meeting at which it will be considered. The Membership Division of the Association will be advised that the Bylaw amendments have been approved, and will be sent a copy of the approved version of the Bylaws. The Chapter Board shall conduct a periodic, ideally annual, comparison of the Chapter practices to the bylaws. The Chapter must ensure the compliance of the bylaws with the Association's bylaws and any applicable country or state requirements.